Treble booster pedals play a strange role in the world of electric guitar – they boost the sound without distorting it like an overdrive pedal would, but when turned up significantly you can barely tell the difference between the two. On the other hand, you have the clean boosters, which are primarily designed to add some volume to your tone without coloring it. So, where do treble boosters fit in? Treble booster pedals give you a dynamic, sparkling sound by boosting your treble frequencies, without the dark tone of a distortion pedal. In all of their simplicity, treble boosters can be a secret weapon on your pedalboard. Many guitarists are known for using these pedals to achieve their trademark sounds, like Brian May of Queen and Tony Iommi of Black Sabbath. In this article, I’ll be going over my favorite treble boosters, helping you compare them and make your final choice. Here is my list of the best treble booster pedals you can get for your money. 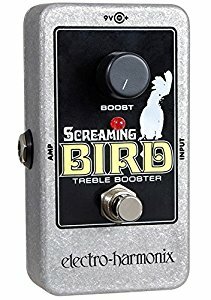 Even though Electro Harmonix is a well-known name in the guitar effects industry, their treble booster pedal, the Screaming Bird Nano, comes at a surprisingly low price. It sports the recognizable Electro Harmonix design with grey metal casing, single black knob, and red indicator light. It looks and feels as durable as many of their other pedals, while it doesn’t take up a lot of space on a pedalboard. Unfortunately, this pedal leaves much to be desired. Although it produces a decent sound and provides your guitar with some serious bite, its options are pretty limited compared to some other entries on the list. It does, however, do its main job perfectly – it adds up to 20 dB of high frequency gain, so your guitar will surely cut through any mix. If you’re just getting into treble booster pedals, this pedal is a great choice. It gives you a clear image of what treble boosters do and comes at a very affordable price. 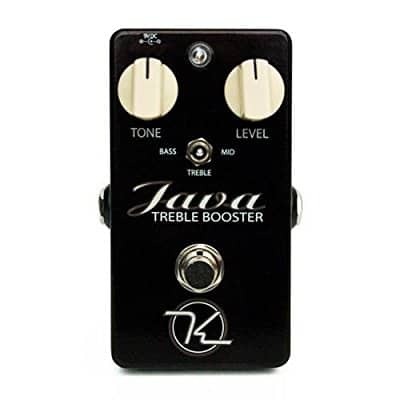 Since it’s capable of boosting all aspects of the frequency range as well as the entire signal, the Java Boost from Keeley Electronics isn’t strictly a treble booster. However, when it comes to boosting your treble signals, it does this job better than many dedicated treble booster pedals. It has a three-way switch in the middle that selects frequency. 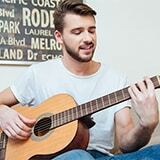 Just set the frequency to “treble” and you’ve got yourself a great treble booster. It uses the Mullard OC44 transistor to provide you an impressive, fairly balanced boost that has a very “classic rock” kind of sound. Paired with a dark tube amp it can give you great sound that complements the muddiness of tube, giving it some color and a stronger bite. It does, however, come at a significant increase in price compared to the Electro Harmonix Screaming Bird. 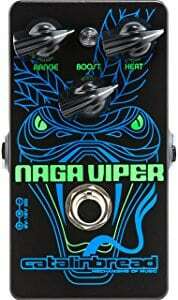 One of the most popular pedals on this list, the Naga Viper from Catalinbread first strikes you with its lively, creative design. The blue viper with piercing green eyes looks at you from its black casing, which really sets this pedal apart from almost every other pedal out there. When it comes to sound, the folks at Catalinbread didn’t skimp on that field either. Its features and performance make it obvious that this pedal was modeled after the iconic Dallas Rangemaster that beautified the tones of famous British guitarists like Eric Clapton and Tony Iommi. It has three control knobs - Range, Heat, and Boost. Combining these three knobs lets you experiment with different ranges of the frequency spectrum - from the deep bassy end to the classic high end. It delivers quality tone in all these settings, giving your guitar that special edge you’re looking for. If you’re looking for a high-end treble booster pedal without completely splashing the cash, this might be your best choice. 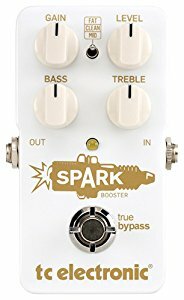 Another pedal on this list that is much more than just a treble booster, the Spark Booster from TC Electronic acts more as an EQ. As TC Electronic is known for their high-end pedals (some of which have reached the iconic status), it comes as no surprise that their tone shaping EQ/Clean boost delivers great sound with plenty of options for experimenting. The bass and treble knobs make it easy to cut and boost these frequencies, while a whole 26 dB of gain provide you with a stronger punch than any other pedal on this list. Probably my favorite thing about this pedal is the Fat/Clean/Mid switch that gives you access to these types of boost. 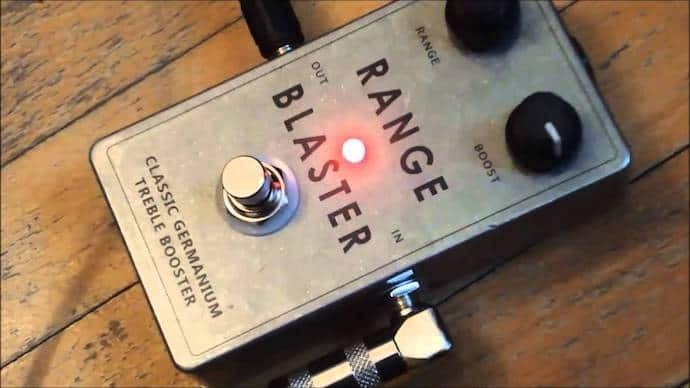 Combine this with the gain knob and what you get is almost an overdrive pedal that you can use to make your tube amp sound brighter and tougher. TC Electronic also makes the Spark Mini that comes at almost half price, but if you’re in the market for a serious product, the regular Spark is the way to go. Perhaps it goes without saying, but the key question you need to ask yourself before buying a treble booster pedal is what you are planning to use it for. Many guitar players use treble boosters as an always-on pedal, especially if they have a dark-sounding amp. That way, they can even the sound and get some brightness without having to temper with their amp settings all the time. Other players use treble boosters as more of a solo boost, giving their guitar a sharper sound that cuts through the mix. Whether you're going for the first or the second option will affect your final choice dramatically. If you're looking for an always-on pedal that will give your sound some more color, you should go for a more subtle pedal that can seamlessly deliver some brightness. On the other hand, if you're looking for a more dramatic pedal to sharpen your sound and end up on top of other instruments during a solo section, you're better off buying a pedal that gives your higher frequencies more gain. If you're looking for a treble booster, you're limited to a very small market - there aren't many pedals that are marketed as treble boosters per se. You have clean boosters, dirty boosters, as well as midrange and bass boosts that all affect different ends of the frequency spectrum and do different things for your tone. Many of these combined booster pedals have treble settings which give you a great bright sound. For instance, the Java Boost on my list isn't specifically a treble booster, but it's more effective at boosting high frequency sounds than some other entries on the list. Don’t limit your search exclusively to treble booster pedals. Rather, seek and try out all booster pedals that can give you the sound you’re trying to achieve. If you’ve never tried a treble booster pedal before, chances are you don’t really understand how it sounds and what it does to your sound. Although they can be a great addition to your pedalboard (especially if you use a muddy tube amp), it’s important to mention that a treble booster doesn’t affect your tone as obviously and deeply as a delay or an overdrive. Quite the contrary - it’s a subtle pedal that you probably don’t even know you need. But when you plug it in and play around with its settings, you’ll find that your tone is empty and bleak without it.